The frame took its last shape via a series of wind tunnel tests: Ernesto Colnago worked through 41 variations of the Concept frameset, to find the best aero version. The frame weight (claimed, without paint) is 990 grams, and the fork is 400 grams. Like V1-r, the framesets are manufactured in Taiwan and finished in Italy. 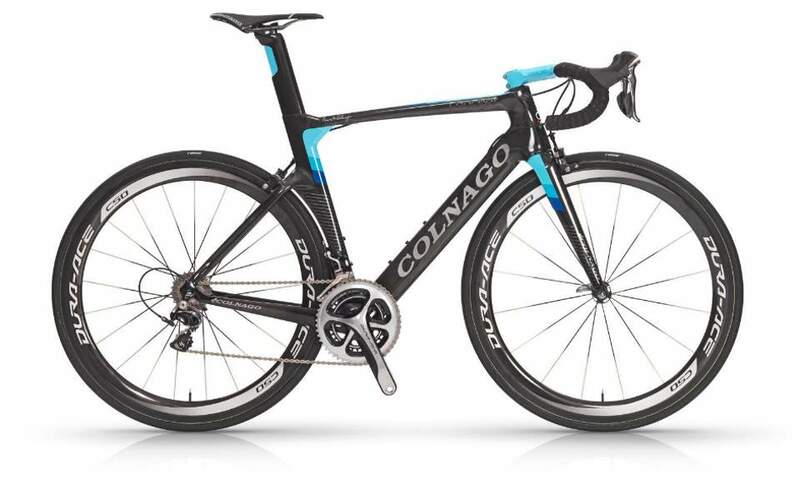 Colnago Concept’s special full-carbon stem. The bike is also compatible with the standard stems and handlebars. The down tube is truncated (flat back). This is making attaching bottle cages an easier job, and also actually more aero than a pure aerofoil. 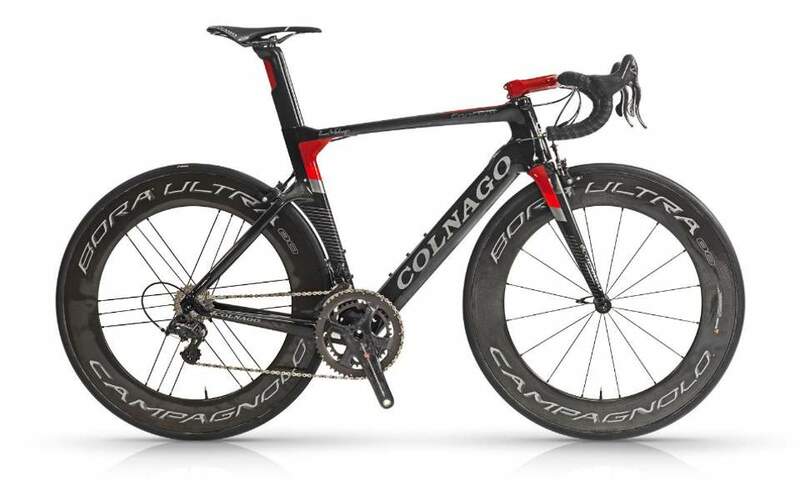 An interesting point is: Colnago didn’t choose to hide the breaks. They are placed in their usual locations and fully accessible to maintain. The bike is also designed to take tires up to 28 millimeters at both ends. So, the bike can be ridden over harsh roads more comfortably. Colnago says that the aero penalty over 25 mm tires is actually not all that great. The new Concept is coming with four different colors: CHRD (Charcoal/Red, pictured above), CHWH (Charcoal/White), CHBK (Charcoal/Black) and CHBL (Charcoal/Blue). The familiar sign of Ernesto Colnago on the frame. The new frame represents continuity with the original Colnago Concept project – the first carbon fiber frame, developed by Ernesto Colnago in collaboration with Enzo Ferrari in 1986. The bike had a sensational debut at the Milano bike show that year. The frame was developed with the same engineers who developed Ferrari’s F1 cars. 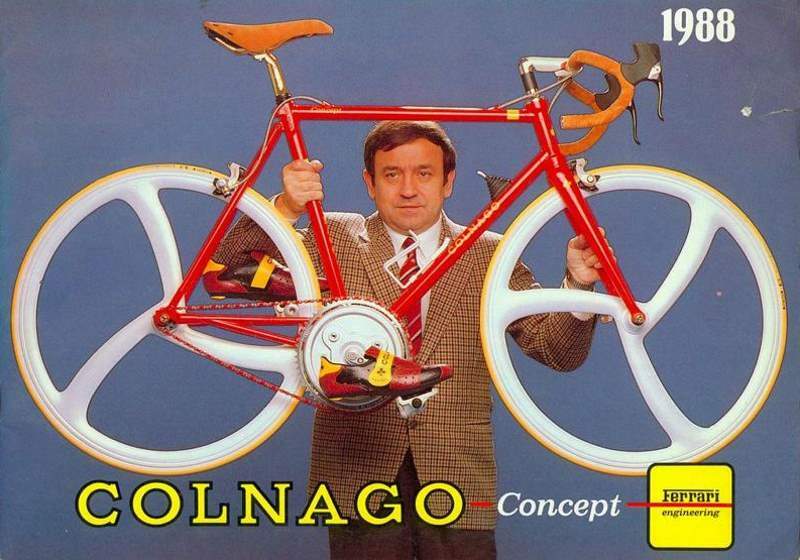 That collaboration worked out very well and helped Ernesto Colnago learn about carbon fiber construction. Back then it was unheard of manufacturers using this exotic composite material to build a bicycle. 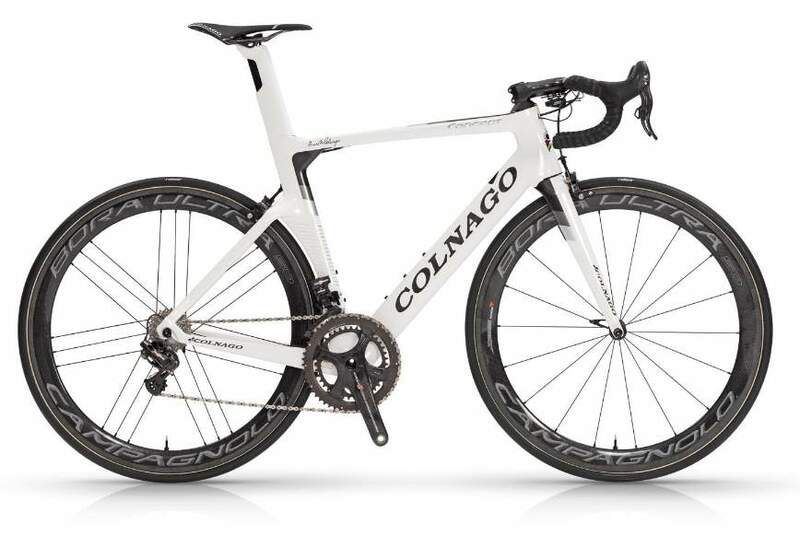 The Concept model, which became the template for his future carbon fiber bicycles, was never sold to the public, mostly because the integrated universal gear change made the Colnago Concept just too heavy to market, especially to the world of professional road bike racing. But three years later, in 1989, Colnago wowed the bicycle world again with the Colnago C35, a swoopy monocoque beauty that was again developed with Ferrari Engineering. The C35 was a true race bike and was used by some of Colnago top riders back then. It was equipped with a gold-plated Campagnolo Super Record groupset.